Sign up for golf clinics or private lessons. Our friends and partners mean well when they offer advice, but they are often not trained coaches. Beginner clinics with women of similar skill are a great place to start. These clinics are often spread over 4-5 weeks and offer a great introduction to the game and your swing. If you would prefer to learn alone, you may want to inquire about private lessons. Seek out trained PGA golf professionals at your local golf course or driving range, they are happy to answer any of the questions you have about the game. Also, ask for a plan from your instructor that will keep your practice sessions on track. Find a friend who wants to learn with you. Having a partner to go to the driving range with or head out to the course will make the experience much more enjoyable. If you don’t know anyone then be open to creating new friendships with the ladies at your golf clinics. Many ladies who learn together become lifelong golfing partners. Set reasonable goals. In the first year you may only take a few lessons, plan to play your first nine holes, plan to watch golf on Sunday afternoons, or book a girls’ weekend golf getaway. Whatever your goal is for year one, make sure they are realistic. Understand that acquiring a new skill is possible over time, but we need to allow our bodies to adjust and dedicate some time to practice in the first year. Taking it slowly will leave you less frustrated. Find equipment. You may wish to borrow a friend’s set of clubs until you are ready to invest in your first set. Many times you only need a few clubs to get started. Be aware that club length, weight and technical design may inhibit your game improvement and add to your frustration and inability to see results. Also, grips wear down over time and will need replacing. Visit your local golf store to chat about new equipment, clubfitting or to assess your existing set. While there, you can stock up on golf balls, tees, and of course clothing! Have fun! Being social, getting exercise and spending time with friends outside – this is the best part of the game. Most people find the game challenging, and this can become the primary motivator to improve. There’s lots to learn from swing basics, to the rules and etiquette. You don’t even have to keep score! Don’t be afraid to ask lots of questions. It has been my experience that people love to talk about golf. Enjoy learning to golf this season! I hope you are encouraged to take up this game for a lifetime. 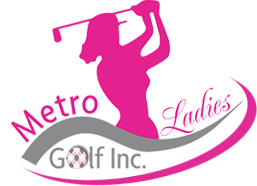 If you need advice I am available for a phone call at 902-449-2062 or contact Metro Ladies Golf through our website at www.metroladiesgolf.ca.